3.Compact shape enables to clean hard-to-reach place. 7.Cliff Sensor allows the robot to avoid stairs and other drop-offs. 8.Soft bumper strongly protects both robot and furniture when they're getting closed. 9.Safely power off function: if the wheels stuck off, it will shut off automatically, which is safe and energy saving. 11.Flashing LED lights in the illumination ring make the robot look amazing while working. 12.The robot cleans the areas you see and those you can't, including under and around furniture. 13.Double Side brushes enlarge cleaning area of hair, dust etc. 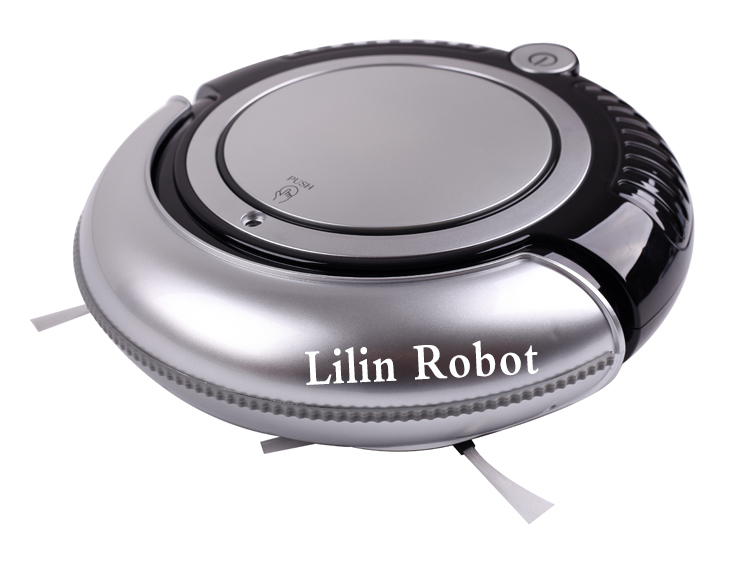 14.With Electrostatic dust paper, the mini robot can do both vacuuming and mopping job.